Are missing teeth keeping you from smiling, eating, and speaking as you’d like? Thanks to the constantly evolving field of restorative dental technology, you have a variety of tooth replacement options available to you. For patients missing one or more teeth in a row, crown and bridge treatment proves an excellent solution that looks and feels natural, restoring your smile’s function and aesthetics. 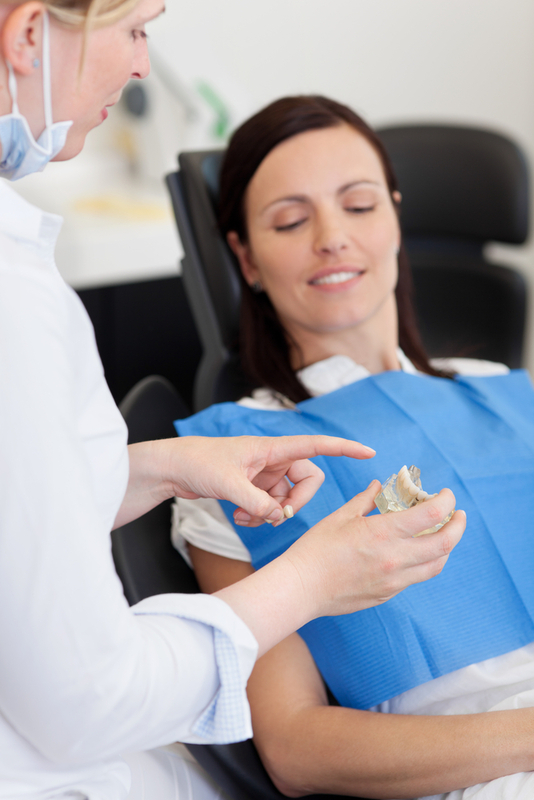 At Horsham Dental Elements in Horsham, PA and Philadelphia, PA, Dr. Gary Henkel and his team help patients just like you reclaim a complete, fully functioning bite with restorative dentistry procedures, including crown and bridge treatment. How Does Crown and Bridge Treatment Help? While dental implants are considered a preferred alternative to missing teeth in many cases, this surgical procedure is not ideal for all patients. In cases in which significant bone loss has occurred within the jaw, for example, crown and bridge treatment may be preferred. The entire crown and bridge placement process is relatively simple. The two teeth that are situated on either end of a gap (where other teeth have been extracted or lost) become what are called abutments. These abutments serve as the anchors for a new bridge of replacement teeth. They will be prepared as necessary to receive brand new crowns, custom-fitted and shaded to match surrounding teeth. Between them, the bridge containing prosthetic teeth will be secured. Within just two to three visits to our warm, welcoming office, your crown and bridge restoration will be complete, allowing you to enjoy all of the benefits of a full set of teeth once again. Whether you’ve been missing several teeth for years and are ready to enjoy a complete smile once again, or you’ve recently had extractions performed and need teeth replacement as soon as possible, contact our office and talk to Dr. Henkel today. Our cutting-edge facilities — conveniently located in both Horsham and Philadelphia — also happily welcome patients from surrounding communities throughout Montgomery, Bucks, and Philadelphia Counties, including Hatboro, Springfield, Dresher and beyond. We look forward to seeing your beautiful smile!